Tom Pousti MD, FACS, of Pousti Plastic Surgery, specializes in reconstructive and cosmetic plastic surgery and is dedicated to restoring appearance, function, and self-esteem to his San Diego area patients, giving them a better quality of life. 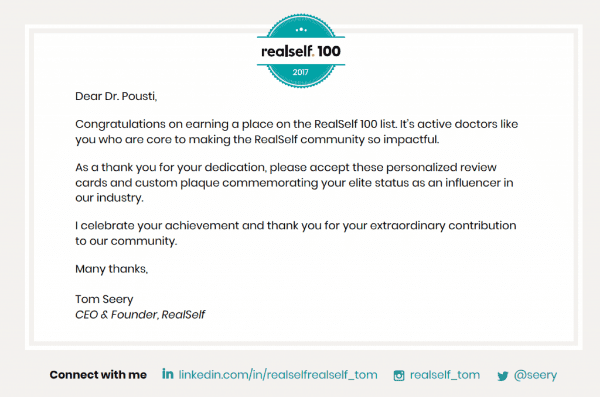 Dr. Pousti is double board certified in General Surgery and Plastic and Reconstructive Surgery, which is an important distinction for those who want the best in plastic surgery. These certifications prove that the surgeon has graduated from an accredited medical school, has completed a residency of at least five years, has three years of experience in general surgery, is actively practicing plastic surgery for at least two years, and has passed mandatory comprehensive and written examinations. While Dr. Tom Pousti has studied and performed the fine art of plastic surgery for 20+ years, he understands that there are constant advances in plastic surgery technology, and he has incorporated the latest cutting-edge techniques into his daily practice. 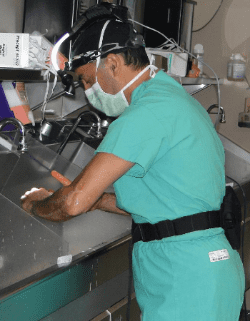 Dr. Pousti earned his undergraduate degree from University of California San Diego and continued on to the University of California Irvine for medical school and surgical training. He was offered a plastic surgery fellowship associated with the Harvard Program where he learned from the best of the best in the plastic surgery field. Noted for his warm, personal demeanor, Dr. Pousti has a passion for the details of cosmetic surgery that lead to extraordinary results. 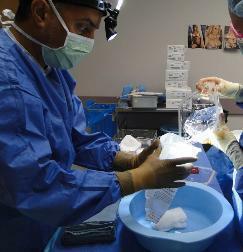 Dr. Pousti working on a patient who had saline breast implant deflation. Establishing a personal relationship that allows him to understand his patients' concerns and desires is a key part of his consultation process. During the consultation, Dr. Pousti will let you know if you are a good candidate for surgery and which procedure will help to achieve your specific goals. Dr. Tom Pousti now offers Vectra 3D simulations so patients can see what specific implant types, sizes and profiles would look like on their body. Dr. Pousti performs markings prior to every surgery. Measurements and markings are a key part to achieving the patient’s desired results and promoting symmetry. In some cases, Dr. Pousti performs markings the night prior to surgery in addition to the morning of surgery. Performing the markings the day prior to surgery allows Dr. Pousti and the patient time to prepare and properly plan for the procedure. 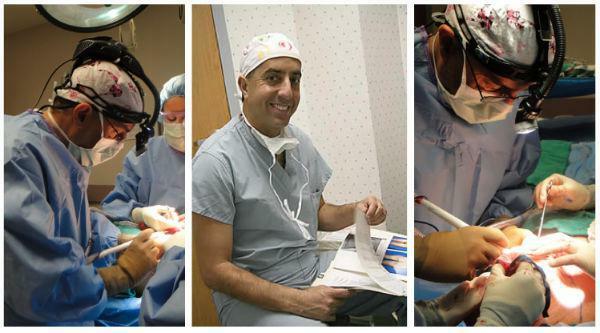 Dr. Pousti strongly believes in individualizing every surgery to meet each patient’s expectations. 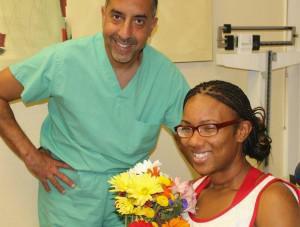 He encourages every patient to choose ‘goal pictures’ that represent their ideal surgical outcome. 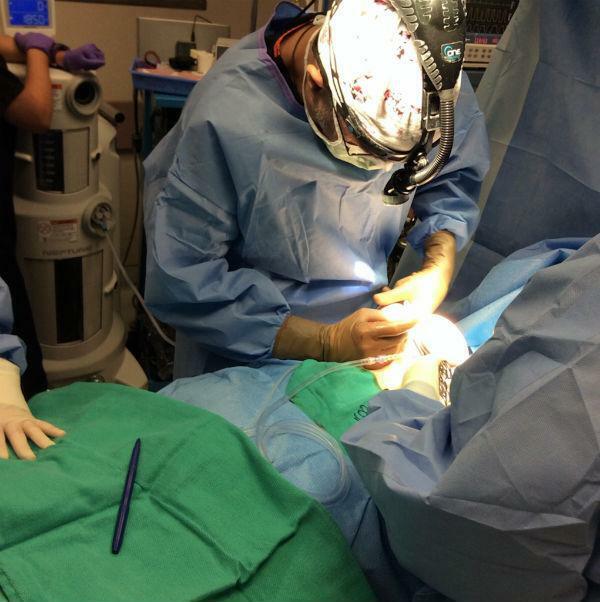 Dr. Tom Pousti now uses The Keller Funnel Method during Breast Augmentation Procedures for Silicone Gel Implants. 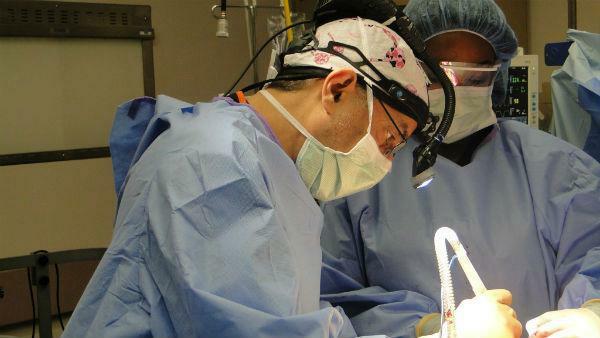 Dr. Pousti will meet with his patient’s again the morning of surgery to finalize the surgical plan and review the patient’s expectations and goal photos. Markings are checked several times prior to the start of surgery to promote accuracy and the best possible results. 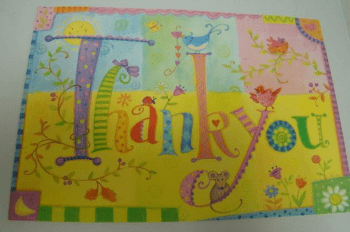 Dr. Pousti spends the time with each patient the morning of surgery to review the patient’s likes and dislikes. The patient’s goal photos/posters are brought into the operating room for Dr. Pousti to refer to throughout the procedure. 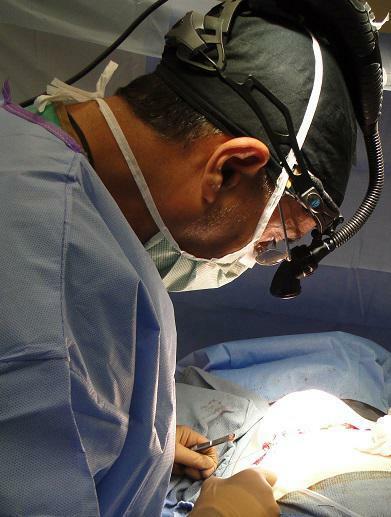 Dr. Pousti performs plastic surgery in a hospital O.R. with a highly skilled team of Anesthesiologists, nurses and technicians to enhance patient comfort and to provide peace of mind to patients and their families. Dr. Pousti now uses the Keller Funnel method initiated in 2009 for all Silicone Gel Breast Augmentations. He keeps up with all advancements in the cosmetic field for better results and the patient’s experience.